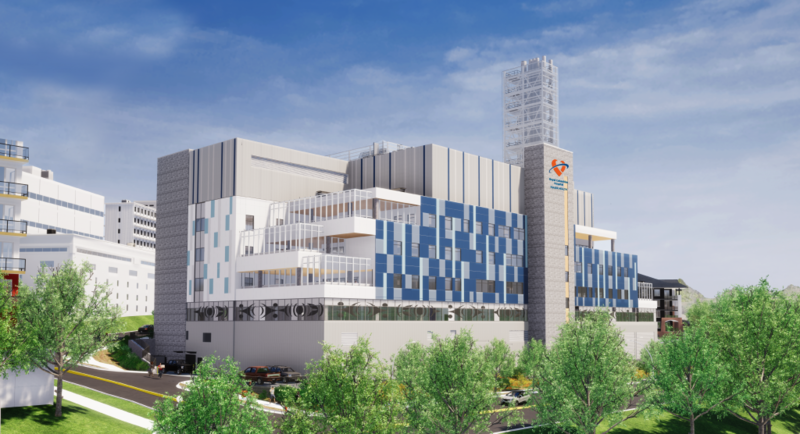 A $1.35 billion multi-phase, multi-year transformation of Royal Columbian Hospital is underway. Our vision is to create a world-class hospital: a state-of-the art facility that provides uncompromising care and remarkable patient experiences. We are proud of our role as a major critical care hospital, serving a population equal to a third of British Columbians. No other centre in BC offers our scope of services, delivered at such a high level. That’s why redevelopment at Royal Columbian is such an important project. 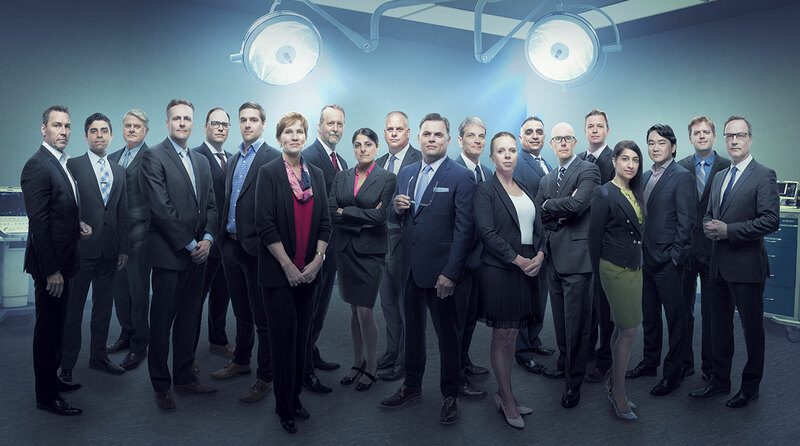 Royal Columbian Hospital Foundation is honoured to present our capital campaign cabinet, which unites leaders from across our most critical industries, communities and partnerships. supporting this $1.35 billion multi-year, multi-phase project, every step of the way. Dr. Anson Koo, Psychiatry Department, Royal Columbian Hospital. Royal Columbian Hospital Foundation is pleased to recognize BMO Financial Group’s leadership role in our redevelopment fundraising campaign. Their $1 million donation in support of mental health will transform how critical care is delivered in BC, and ensure patients have the exceptional care they deserve. The new Mental Health and Substance Use Wellness Centre, now under construction and scheduled to open in 2020, will provide a significant opportunity for groundbreaking research, increased psychiatric training and state-of-the-art patient care. Royal Columbian Hospital Foundation has committed to raising $9.1 million for this important addition to our campus of care. When an emergency happens, every single second counts. A senior suffering a stroke, arriving unconscious at hospital. An accident victim, gravely injured and rushed here by Air Ambulance. A woman in labour and cardiac arrest, with two lives now in the balance. From its humble beginnings in 1862, with just 30 patient beds and one doctor, Royal Columbian grew to become the province's indispensable leader in critical care, serving more than 1.8 million residents of the province. Now, our hospital is set to make healthcare history once again, as Redevelopment positions Royal Columbian to revolutionize critical care in BC. When the multi-year project is complete, our hospital will be fully transformed, and ready to cope with the needs of a fast-growing, dramatically aging and increasingly diverse 21st-century population. Fuelled by BC's single largest healthcare investment ever, a fully redeveloped Royal Columbian is poised to play an even more robust role in our collective prosperity. By dramatically increasing critical care capacity for a fast-growing population, Redevelopment will add hundreds of new jobs for doctors, nurses, support staff and construction-related workers. An advanced IT fibre optic and utilities pathway that ties into city infrastructure and enables advanced health care technologies. Replacement of the aging Sherbrooke Centre, old power plant, main entrance and laundry/maintenance buildings with site enhancements. Upgrade and move the cafeteria, administration offices and ambulatory care services. A new Acute Care Tower, helping increase our total beds by 50%, will be equipped to provide highly sophisticated critical care technologies and treatments. Almost three-quarters of the beds will be in single-patient rooms for better recovery and comfort. In 20% of rooms, adaptable beds will meet a range of different patient care requirements. A larger Emergency department, with 75 state-of-the art treatment bays, four trauma bays, and a new and expanded satellite Medical Imaging area (housing a CT scanner, ultrasound and two radiology rooms) will speed up admission and treatment. to an astonishing 2.2 million. It will be markedly older, dominated by people over age 80, the fastest growing segment of British Columbians.